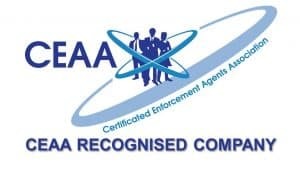 • “IES Training” or “Inhouse Enforcement Solutions” of 20-22 Wenlock Road, London, N1 7GU• The “Client” means the person, company or other legal entity identified as providing a request to IES Training Ltd to supply Services. • “Services” means the goods or services to be provided by IES Training Ltd to the Client under the terms of the contract and “Services” shall be construed accordingly. The price payable for the Services shall be the list price of IES Training Ltd at the Confirmation Date unless otherwise stated. IES Training Ltd is entitled to charge interest at 2% per Month or part thereof on overdue payments. IES Training Ltd provides training in conjunction with selected Training Providers. To the best knowledge of IES Training Ltd these Training Providers are suitably qualified and accredited to deliver the training courses offered. The contents of course schedules are intended for general guidance only and do not form any part of a contract. IES Training Ltd reserves the right to make any reasonable variations to public and in-house courses, including the content and location of the courses, without notice. The indication of course availability and location shown on the IES Training Ltd website is for general guidance and does not form any part of a contract. Please contact IES Training Ltd before making any travel or accommodation arrangements as IES Training Ltd will not be liable for any action that you may take in reliance on the information. IES Training Ltd will perform the Services with reasonable skill and care. Any other conditions or warranties whether express or implied as to the quality of the Services are hereby expressly excluded. For courses not exclusive to one Client, IES Training Ltd and its Training Providers reserve the right to refuse admission to the training premises by any person whom they consider in their absolute discretion to be unsuitable for admission onto the training premises or to remove any such person after the commencement of a course. All examinations should be submitted within the time frame set within the course (See Table below). IES Training reserves the right to charge a late submission fee for all course work not submitted within the time frame set. All classroom-based courses are run on working days only, unless otherwise stated. On the rare occasion where a training event duration spans a weekend the course will continue the following week. For example, if a 3 day training event commences on a Friday then the remaining 2 days of training will take place on the following Monday and Tuesday. IES Training Ltd reserves the right to cancel or arrange an alternative date for a course. In such circumstances IES Training Ltd will endeavour to provide notice of cancellation or change to the Client. In the event of cancellation the Client will be entitled to a full refund of the course fee but IES Training Ltd shall not be liable for any other loss or expense arising. In the event that IES Training Ltd are forced to cancel a course due to adverse weather conditions then we reserve the right to reschedule this course at the first available slot or offer the client an alternative date (where a Red Warning issued by MET Office) or Amber warning with notice by local authorities of essential travel only). In the event that the delegate is unable to attend the course booked IES Training Ltd will endeavour to transfer the delegate to an alternative course. If this is requested 26 or more Working Days from the start date of the original course then the only charges applicable will be an administration fee of £50 (plus VAT) plus any difference in course price. If a transfer is requested within 26 Working Days then the cancellation fee above shall be payable. IES Training Ltd will endeavour to accommodate requests by the Client to substitute one delegate for another but is under no obligation to do so. Such requests are subject to the replacement delegate meeting the pre-requisites for the course. In the event of substitution the Client shall pay an administration fee of £60 plus any unavoidable costs relating to the change. IES Training Ltd’ total liability for any loss or damage shall not exceed the price payable for the Services, except in cases of direct physical damage to the Client’s property, personal injury or death. IES Training Ltd shall not be liable howsoever caused for indirect or consequential loss including but not limited to: loss of profits; loss of revenue; loss of goodwill; loss of data; failure to achieve savings. Where a customer orders a predefined selection of bundled services/courses at a fixed price (Bundle), the provisions of this Clause 7 shall apply except as may be expressly waived (in writing) by IES Training Ltd on Training in relation to a particular order. Services/courses within a Bundle are allocated to a particular named individual and such allocation cannot be transferred to any other person. The customer may not modify the services/courses within a Bundle, and may not exchange services/courses within a Bundle for other services/courses. Where a customer decides to cancel a Bundle before the first service/course has been booked (and within the 12 month Bundle period) IES Training Ltd on Training will refund the Bundle cost subject to an administration charge equivalent to 10% of the Bundle price paid. Each Bundle is valid for a maximum of twelve (12) months. The Client may only use the services/courses within a Bundle during the twelve (12) month period immediately following the date they are ordered and payment is submitted. Any services/courses within a Bundle that remain unused will expire on the anniversary of the payment date and shall be deemed used with no refund payable. Some Bundles are provided on the basis of being for selected dates and locations only. A IES Training Ltd on Training advisor will work with you to arrange a suitable schedule. IES Training Ltd reserves the right to cancel, curtail or re-schedule training courses or events, in which case it shall use reasonable endeavours to notify the customer and provide alternatives. In the event of cancellation by IES Training Ltd on Training for any reason (including where IES Training Ltd on Training is no longer able to source the training course requested), IES Training Ltd on Training shall use reasonable endeavours to find a suitable alternative and where this is not possible shall refund course fees which the customer has already paid in advance in relation to the cancelled course. Please note the refund will be a pro-rated amount of the sum paid for the Bundle which may be less than the usual price of the service/course. The Company reserves the right to withhold services or provide reduced services if course participants attending on the Client’s behalf fail to satisfy course requirements or meet the course prerequisites. IES Training Ltd shall not be in breach of this contract if there is any total or partial failure of performance by it of its duties and obligations under this contract occasioned by any act of God, fire, act of government or state, war, civil commotion, insurrection, embargo, prevention from or hindrance from obtaining any raw materials or energy, sickness or other cause beyond its reasonable control. If IES Training Ltd is unable to perform its duties and obligations under this contract as a direct result of one or more such causes IES Training Ltd shall give written notice to the Client of such inability stating the cause in question. The policy of IES Training Ltd with respect to data protection is detailed in its Website Data Protection Policy which should be read in conjunction with these terms and conditions of contract. Where Services are certified training courses, the Client consents to allow IES Training Ltd full access to examination results arising from their bookings. This information will be used in accordance with the requirements of relevant data protection legislation. The data will only be used to evaluate effectiveness of training and to assist IES Training Ltd in providing advice to its clients. All Intellectual Property associated with training courses or other Services shall remain vested in the owner be it IES Training Ltd, its Training Provider or others. Intellectual Property which is identified as, or can reasonably be deemed to be, confidential shall not be copied or reproduced or disclosed to any third party without the prior written consent of IES Training Ltd. The Client shall ensure that its employees and all those under the Client’s control and supervision comply with this obligation. Where Services are provided to the specification or special requirements of the Client, the Client shall indemnify IES Training Ltd against all costs, claims and damages incurred or arising out of any alleged infringements of Intellectual Property. Any typographical clerical or other error or omission in any sales literature, administrative documentation, course materials, invoice or other document or information issued by IES Training Ltd or its Training Providers shall be subject to correction without any liability on the part of IES Training Ltd.
No variation to these Terms and Conditions shall be effective unless made in writing and signed by an authorised representative of IES Training Ltd.
IES Training Ltd may assign or sub-contract the whole or any part of the Contract to any person, firm or company. During the term of the Contract and for a period of 12 months thereafter, the Client shall not directly or indirectly employ or solicit for employment any employees of IES Training Ltd or its Training Providers.